Designed in California. Made in China. The report said that at a different factory, in Suzhou near Shanghai, which makes the iPod shuffle, workers were paid £54 per month - but that half of that went on accommodation and food within the factory complex. 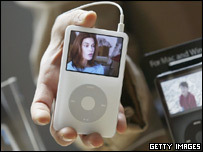 IPods carry the text: "Designed in California, Made in China".